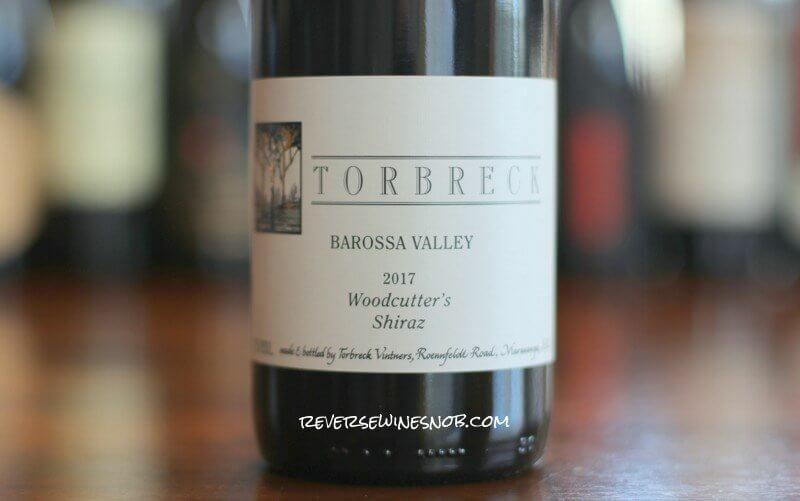 Another fantastic wine from the Barossa Valley, the Torbreck Woodcutter’s Shiraz. 100% Shiraz from vineyards throughout the Barossa Valley, South Australia including the sub-regions of Marananga, Greenock, Seppeltsfield, Gomersal, Moppa, Lyndoch and Ebenezer. The wine was aged for 12 months in large seasoned barrels. Sample submitted for review. The Torbreck Woodcutter’s Shiraz has an SRP of $25 and is available for as low as $16. Ready to buy? Check your local retailers. Imported by Wine Creek LLC. As one of the earliest planted grapes in the region, Shiraz has found a natural home in the Barossa Valley. This wine comes from fruit harvested across Torbreck’s own estate as well as our growers’ patchwork of vineyards. The 2017 Torbreck Woodcutter’s Shiraz begins with pleasant aromas of blackberry, black cherry, plum, licorice, spice, mint, vanilla and more. This is a really tasty, classic Shiraz with lots of juicy, rich, dark fruit plus pepper, spice and a hint of smoke. With a smooth and velvety mouthfeel this medium to full-bodied wine is a winner. It ends with grippy tannins on the long, dry, lingering finish of vanilla, black tea and cocoa. We continue to be impressed with the wines we are tasting out of Australia. If you’d like to find more of our picks for the Best Australian Wines Under $20 you can check out our giant listing here! Ready to buy the Torbreck Woodcutter’s Shiraz? Check your local retailers.